Barbara Pickering Art Website and new member! Barbara has joined Art In Canada! Welcome! We are thrilled to have her art in our online art gallery! Barbara is a very diverse artist, painting a variety of subjects, from expressive faces and mood inspired seascapes and landscapes to social issues dealing with the human condition. Working in several mediums, she has come to love the versatility and feel of oils, and more recently, the fine work in India Ink. We were very fortunate to work with Barbara to develop her new website. Make sure you check it out to see all of her art! This entry was posted in Art Chatter, Welcome to AIC. Bookmark the permalink. 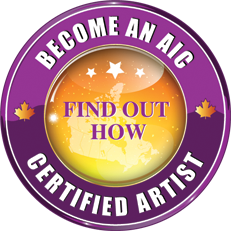 Your site is, Art in Canada without a doubt, the best for an artist to use as it is concerned about presenting the artist's work in the very best light possible at a very minimal cost for the artist. The hardest part of promoting one's own art is the great cost it involves for exposure. You have done an outstanding job! With artincanada.com I have had people from the other side of the world commission my work. Lynda's commitment and dedication in assisting us has made it very easy for my husband to maintain and update my website when necessary. Lynda is always there to answer any questions or concerns we may encounter. Her approachable personality and public relations skills are a great asset. On a scale of 1-10 she is definitely a 10+. Art In Canada is simply fantastic. They redesigned my ancient website and turned it into something that not only has great visual beauty, which is crucial for an art based website, but also has great flow and navigation. They are absolutely committed to making sure you are happy. Terrific service and rare in this day and age. Lynda your Vision of Art In Canada and what it does for artists is fantastic!!! I find it truly amazing that you work so hard with artists in mind. Thank You!! Since joining your site I have realized a considerable increase in contacts directly from the home page with Art In Canada. Some of these contacts have generated sales and others are great potential customers. The site is presented in a professional manner and that is very important to me. I look forward to a long relationship with Art In Canada. I have had some pretty amazing developments from my association with the Art In Canada web site. There have been numerous inquiries from interested buyers each year but the most significant is the call I received from a Gallery who now buys my work. This Gallery deals exclusively with Canadian artists and I am now in my second year dealing with this very high end Art Gallery. I really value my association with Art In Canada. Among all of the websites that I have joined I can honestly say that Art in Canada is the most pro active website based on the reports and this truly explains the genuine quality service and design of their website and also the knowledge of reaching out with ease to those in search of true Canadian art. Lynda, thanks for all your help in setting up my website and now this new AIC web platform to help me market my work! I have already received an inquiry from my AIC homepage! Since having had you design my web site I am finding an ever increasing amount of online inquiry which are leading to sales and commissions! Dear Lynda, So guess what?! I didn't make it to the post office until Tuesday with your cheque and I received a message Monday morning from a man who saw me on Art in Canada and bought a bronze. I delivered it yesterday. It was sending me clients before I even had paid you. An old friend that I have lost touch with contacted me this morning as well from the site. How wonderful and thanks again for all of your hard work on my behalf! I thought you would like to know. Best to you. Dear Lynda; I just wanted to thank you putting together the Art In Canada web site. "Since I have been online with your organization I have been selling more volume of original oil paintings per month than I ever thought possible." And the orders are coming in not from just Canada, but from all over the world! Thank you so much! Before Lynda put my website together we were floundering on the internet. I am constantly receiving emails about the work as a result of people seeing the work on "Art in Canada" and my website. It is certainly worth every penny to spend on a great quality site. I have been very pleased with the Art In Canada website. I've been contacted by both Art dealers looking for artists, and individuals who have visited the site. When showing at various locations, it has been helpful to be able to direct potential buyers to the website, so they can see more of my work I would not necessarily have at that particular show. I found Lynda to be most helpful and very patient in setting up my site. Lynda, - Just a note to let you know what's happening with me. I've had some action because of ArtinCanada.com! I've sold 2-3 paintings lately because they found MY web-site via yours. And the Cow Palace Rodeo found me there and invited me to send work down for their Western Art Show in April. I really appreciate it, and thought you needed to know it! In my entire experience with the business world, you are by far provide the BEST in customer service. And I mean this sincerely. I know you are very busy and put in long hours, but you still take that extra minute or two to correspond with and actually converse with your customers! That is so rare today. And you are doing this long distance! Not even face-to-face! All Artists images and Artists Content is Copyright of the Artists ©2015. All Website Content Copyright of Art In Canada Inc.